THE PERFECT GIFT FOR SPECIAL OCCASIONS AND HOLIDAYS ... Ideal to express your gift giving to friends and family who would like to use/or use our products for business and pleasure. Gift Certificates are available in denominations from *$5.00 TO $100.00. They can be purchased from our Internet website or by telephone. A letter sealed in an envelope will accompany the certificate. Combine GIFT CERTIFICATE ORDERS with ANY from our website. 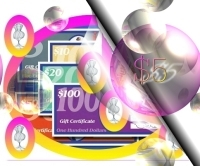 *PURCHASE ANY AMOUNT ... a Processing Fee applies to any/all orders under $50. 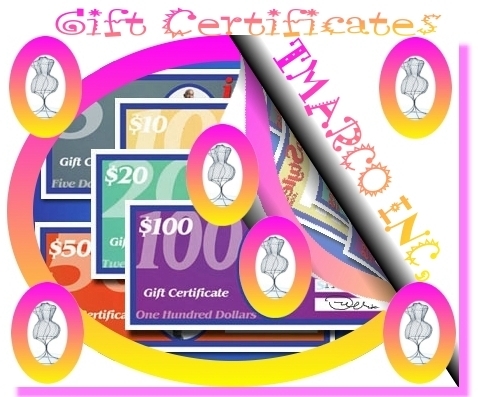 Each Gift Certificate has calligraphy style lettering - PRINT the Name of the Gift Recipient or TMARCO will gladly print it for you - of course we will mail them to you and you can fill it out. Gift Certificates are shipped via USPS First Class Mail - NO CHARGE. (see explanation/details below). Gift Recipients can apply the certificate to a purchase of ANY PRODUCT on TMARCO's website using the number on the Gift Certificate at checkout in our special message area. SIMPLE & AN EASY WAY TO SHOP - HAVE FUN! 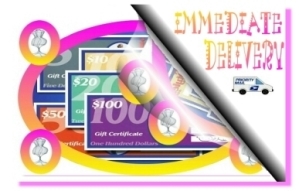 WE WILL RUSH THE GIFT CERTIFICATES USPS PRIORITY MAIL - THE CHARGE FOR THIS SERVICE IS $5.00 USA DELIVERY ... INTERNATIONAL DELIVERY GLOBAL EXPRESS IS $15.00 ANYWHERE IN THE WORLD.